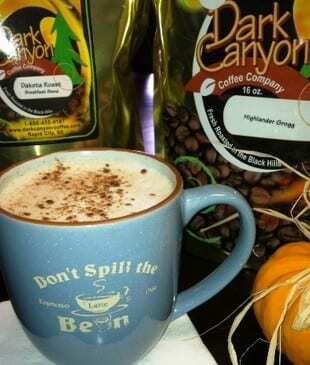 Hot Coffee Specialty Drinks – 16 or 20 oz. Regular, decaf or flavor of the day. Hot espresso flavor in a drip coffee strength. Milder than a Cappuccino, hot Espresso with warm milk foam. Add your choice of flavored syrup or sauce. 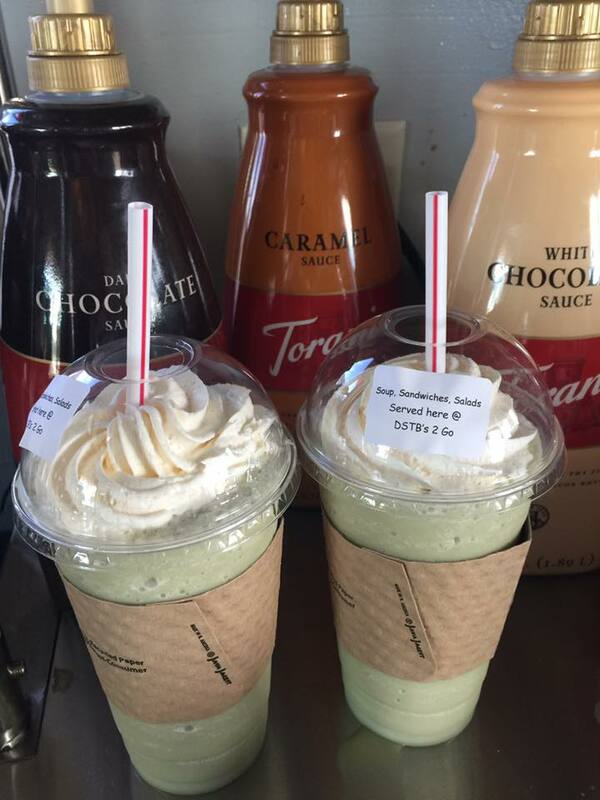 Hot “Non-Coffee” Specialty Drinks – 16 or 20 oz. Steamed milk with a flavor added of your choice, topped with whipped cream. Your choice of brewed hot tea. Made from scratch with warm milk, Chocolate Delight and topped with whipped cream. Hot Apple Cider with a special added taste of caramel, topped with whipped cream. 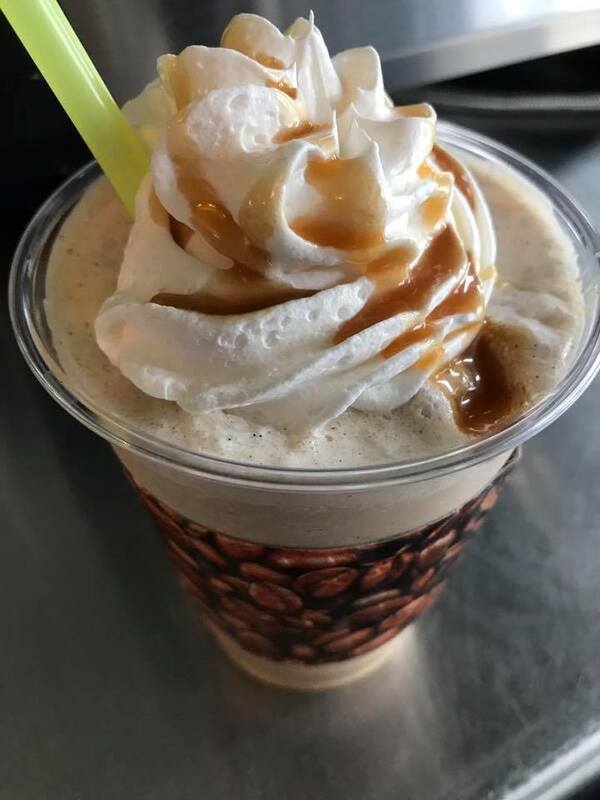 Cold Coffee Specialty Drinks – 16 or 20 oz. Very strong Espresso chilled over cubed ice with a dash of milk, add your choice of flavor, topped with whipped cream. Tasty blended coffee creamy milkshake with your choice of flavor, topped with whipped cream. Espresso chilled, served over cubed ice with milk your choice of flavor, topped with whipped cream. Espresso chilled, served over cubed ice with milk and Chocolate Delight, topped with whipped cream. Cold “Non-Coffee” Specialty Drinks – 16 or 20 oz. Blended-n-delicious rich, creamy, chocolate milkshake, topped with whipped cream. Blended “non-coffee” creamy freeze with your choice of added flavored sauce or syrup, topped with whipped cream. 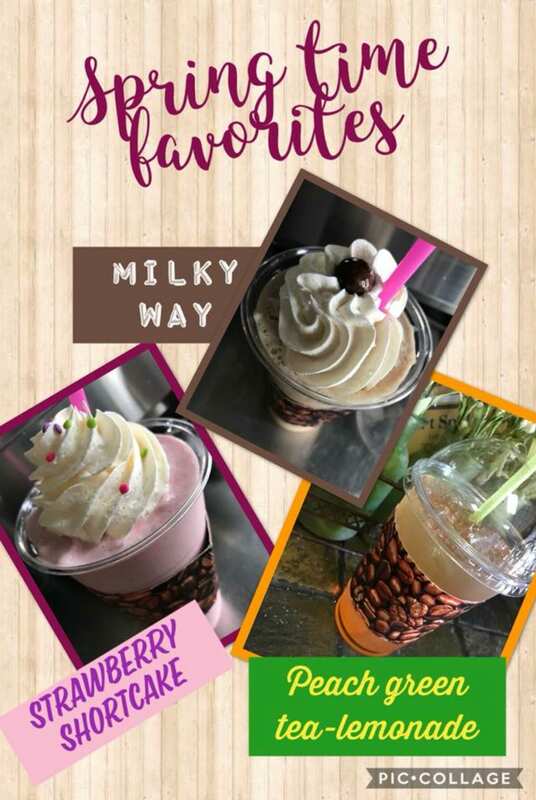 Tasty blended fruit freeze, with your choice of flavors: Peach, Mango, Wildberry Blast, Strawberry or Strawberry-Banana, topped with whipped cream. Half-n-half, club soda, served over ice with your choice of flavor, topped with whipped cream. Club soda with your choice of flavor served over ice, topped with whipped cream. Tasty brewed green tea served over ice, add a taste of raspberry or black cherry for your delight.